See you all next time with more learning and deals courtesy of your friends here at PoolDawg. 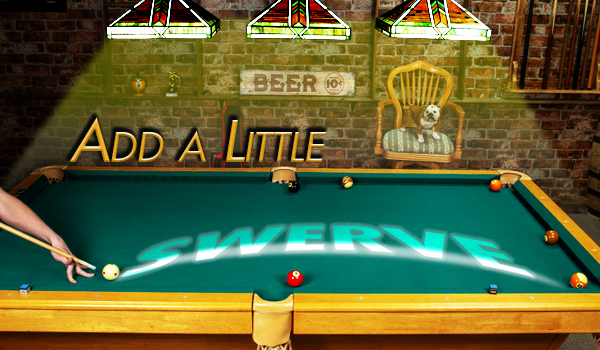 In the meantime, don't forget to visit our Facebook page and join over 75,000 pool players who have already "liked" us. Also check us out on Twitter and Instagram! To ensure delivery of PoolDawg's DawgMail to your inbox, please add info@pooldawg.com to your address book. For complete instructions on how to do this for your email provider, click here. PoolDawg obtains certain data directly from the manufacturer, publisher or supplier of Products and is not responsible for pricing, typographical or other errors in any such data. In addition, availability of third-party Product is subject to change without notice. PoolDawg reserves the right to cancel orders related to such errors or product discontinuation or unavailability, and to correct this web site at any time, including pricing errors not detected until after PoolDawg's confirmation or e-mail response. You're One Step Away. Improve your Pool Game Now!